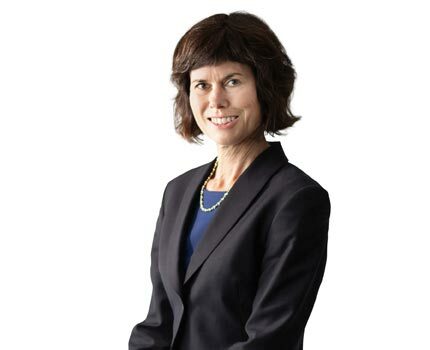 Helen began her career as an articling student at Duncan Craig LLP in 1988. She has been running ever since! Helen is a partner in the estates solutions practice group in the Edmonton office, and co-chair of the practice group. Helen's practice includes litigation arising from wills, estate related claims, mental capacity issues and dependents relief issues. Helen also drafts wills, enduring powers of attorney and personal directives, acts for executors and advises clients regarding probate and administration of estates and with issues concerning mental incapacity in adults. Helen's court experience includes contested wills trials and dependants' relief trials. She appears on these types of matters both on behalf of individual clients and on behalf of corporate trustees, in the Court of Queen's Bench of Alberta and in the Alberta Court of Appeal. Helen has lectured at the University of Alberta Law School as a Sessional Instructor in wills and has presented papers and taught on a number of occasions for the Legal Education Society of Alberta, the Canadian Bar Association (Alberta branch and National) and also at seminars presented by various charitable groups. Helen is a member of the Alberta Surrogate Rules Advisory Committee. She is an instructor at the Legal Education Society of Alberta Intensive Advocacy course held annually at the University of Calgary Faculty of Law. She attends the Senior Practitioners' Estate Planning and Litigation Forum held at Langdon Hall in Cambridge, Ontario, and is a Steering Committee member and discussion leader at the Forum. Helen is a past chairperson of both the Canadian Bar Association (Alberta North) Wills and Estates sub-section, and Elder Law sub-section. She has been a panelist on capacity issues at the Canadian Bar Association National Elder Law meeting in Toronto, Ontario. Helen is a past-president of the Estate Planning Council of Edmonton, and is a member of the Society of Trust and Estate Practitioners (STEP). Helen has been named Lawyer of the Year, Trusts and Estates for Edmonton in 2016. She also received this honour in 2012, and has been selected by her peers for inclusion in the Best Lawyers in Canada in the field of Trusts and Estates since its inaugural publication in 2006. Born in Vancouver, Helen grew up in Edmonton and is married with two teenage daughters. She has been an active volunteer in her community including being a community soccer coach for many years. 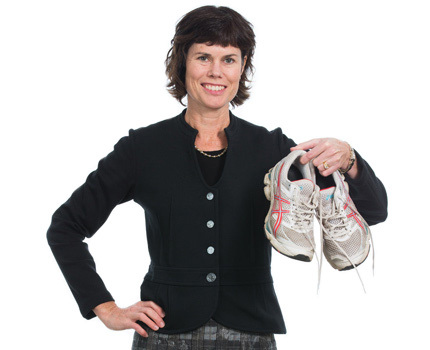 She ran the Victoria marathon in 2003 and spent the summer of 2014 travelling in Europe with her family. Helen Ward and Phil Renaud, QC gave a presentation to The Society of Trust and Estate Practitioners (STEP Edmonton) on February 23, 2017 on "Mediation v. Litigation by Case Study". The Society of Trust and Estate Practitioners is the leading international organization for trust and estate professionals. Today Helen is recognized for her outstanding volunteer work with the Legal Education Society of Alberta (LESA). Helen has been lending her expertise to LESA since the 1990s, and she's volunteered on 3 different fronts: helping prepare our practice manuals, speaking at our seminars, and helping in our CPLED face-to-face modules. As Helen says, "you give a lot and you gain a lot" by being a volunteer. Click on the link below to read the full blog post. Duncan Craig LLP is proud to announce that 5 of its lawyers have been named in the 2014 Canadian Legal Lexpert Directory. Being included in the Directory is an acknowledgement of excellence by a practitioner's own peers and colleagues. Published since 1997, the annual Canadian Legal Lexpert Directory is the most comprehensive guide to legal talent in Canada. Helen R. Ward was recently selected by her peers for inclusion in Best Lawyers in Canada 2018 in the field of Trusts and Estates. Listed in Best Lawyers since 2006. Helen R. Ward was selected by her peers for inclusion in Best Lawyers in Canada 2017 in the field of Trusts and Estates. Listed in Best Lawyers since 2006. Helen R. Ward was named the Best Lawyers 2016 Trusts and Estates "Lawyer of the Year" in Edmonton. Helen Ward has a Martindale-Hubbell rating of BV Distinguished. The Martindale-Hubbell Peer Review Ratings are an objective indicator of a lawyer's high ethical standards and professional ability, generated from evaluations of lawyers by other members of the bar and the judiciary in the United States and Canada. Helen Ward was named the Best Lawyers 2012 Trusts and Estates "Lawyer of the Year" in Edmonton. Helen Ward is listed in the Canadian Legal Lexpert Directory 2013: Leading Practitioner, Estate Litigation.